Kristin Kreuk and Chris Klein star in this kind of sequel to 1994's Street Fighter. When Chun-Li is given a mysterious scroll, she engages in her own hero's journey to find out if her father is still alive. Or is it defeat Bison? Or clean up the slums of Bangkok? Meanwhile Chris Klein squints his way through his role as an Interpol agent hot on her heels. Or Bison's. Also everyone knows magic. 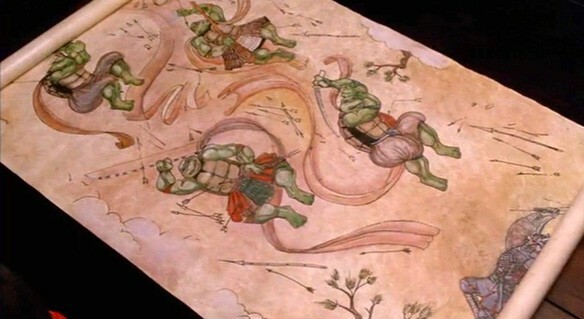 Also here is the Turtles in Time scroll we referenced. Moon Bloodgood is 5'10", not 5'8"